Beddit uses a $150 sleep monitor to track your sleeping patterns, down to how much you snore. To help you get a better night’s sleep, Apple will now be using Beddit’s sleep monitor system. Beddit makes a $150 sleep monitor that you can place underneath your bedsheets and above your mattress to track how well you sleep at night. Beddit’s sleep monitor uses thin, flexible sensors that can pick up every single heartbeat and snore while you’re asleep. The system is currently available on Apple.com. Naps are the new energy drink. Beddit then creates a unique SleepScore by monitoring your sleep time, movement, heart rate, respiration rate, room temperature, and humidity. 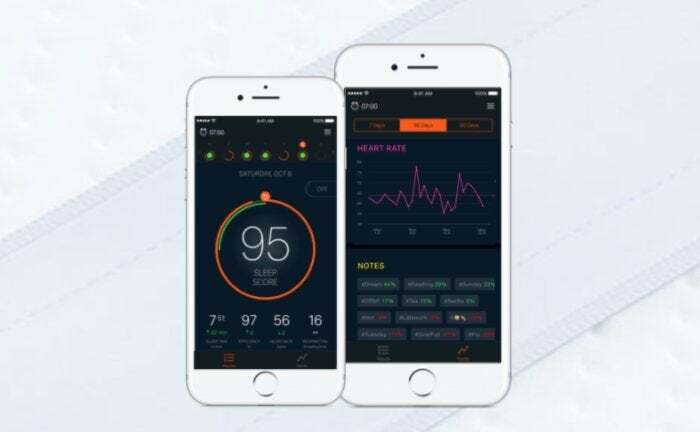 All that data is at your disposal via the Beddit Sleep Monitor iOS app, which can also tap into HealthKit to share the info with the Health app. In addition, Beddit also has a watchOS companion app that helps you track power naps and boost your SleepScore, but the Beddit page promoting its Apple Watch capabilities was taken down. According to Google, that page was up and running as recently as May 4. Why this matters: Beddit might seem like an odd choice for an Apple acquisition. After all, why might Apple want to own a company that claims that “naps are the new energy drink”? Although we don’t foresee Apple developing its own line of sleep-tracking devices, the iPhone-maker could make use of those thin, flexible sensors that can collect an impressive amount of information. The fact that Beddit is no longer touting its watchOS companion app suggests that its technology might be incorporated into the Apple Watch. A natural fit, especially since Beddit has tapped into the gamification of sleep. Adding advanced sleep monitoring capabilities would make the Apple Watch the activity tracker that never sleeps. This story, "Apple quietly acquires Beddit’s sleep-tracking monitor and iOS app" was originally published by Macworld.